Lippo Mall Kuta is a three-level lifestyle mall that is connected to Aryaduta Bali, a 5-star hotel. It is strategically located in Bali, a leading tourist destination in Indonesia, famous for its local traditions, culture and nightlife. 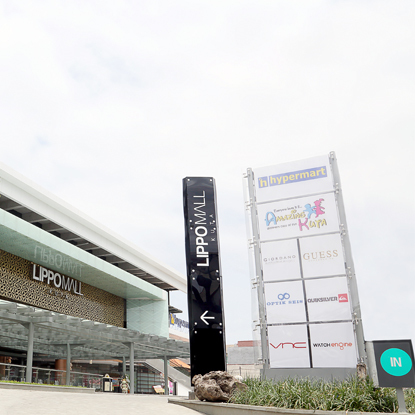 Lippo Mall Kuta provides a wide range of products and services covering daily needs, fashion, entertainment and food & beverage for families and tourists as it positions itself as a new lifestyle icon in Bali. Its tenants include a variety of international and local brands, such as Adidas, Bata, Billabong, Amazing Kuta, Matahari Department Store and Cinemaxx.